The Think Forward Initiative is focused on how we make financial decisions. Kirsten Rohde is an expert in this field; she is a professor of Behavioural Economics at Erasmus University Rotterdam (The Netherlands). Rohde focuses on intertemporal choice, an area within behavioural economics which analyses the trade-offs people make between the present and the future. The online magazine ing.world interviewed her recently. In this article she discusses how we can benefit from more insight into people’s financial habits. Why is it important to understand financial behaviour better? What is your biggest challenge in gaining a better understanding of behaviour? To what extent can sensible habits be learned and less sensible ones unlearned? Any suggestions for a bank that wants to do its bit for society? “What could work is a few gentle nudges in a certain direction. That way, you can help the customer make the right choices by keeping your information simple, relevant and not too detailed. Transparency is important, and so is showing your intention to put the customer’s interest first. What a bank could use in a good way is the knowledge that people are generally creatures of habit. A temporary nudge can produce permanently better results.” In line with its purpose and the general appeal of the European Economic and Social Committee (EESC), ING and some renowned partners have decided to bring together experts, consumer interest organisations, policymakers and other firms. The objective is to clarify the most important challenges regarding ‘behavioural biases in financial decision-making’ and to agree on joint actions. 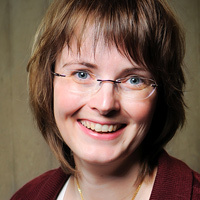 Kirsten Rohde is professor of Behavioural Economics at Erasmus University Rotterdam. She mainly focuses on intertemporal choice, an area within behavioural economics which analyses the trade-offs people make between the present and the future. Her interest lies in developing ‘nudges’ to help people overcome this type of irrationalities. Rohde believes in nudging, an intervention based on scientific behavioural knowledge, where people are given a little nudge in a certain direction to help them overcome irrational behaviour, such as the gap between planning and doing.